January 22, 2019 February 16, 2019 Inderjeet3 Comments on Mere Gully Mein Rap From Gully Boy is beautiful replica of Naezy and Divines’ one! After ‘Asli Hip Hop‘ and ‘Apna Time Aayega‘ here is the most awaited rap from Gully Boy – ‘Mere Gully Mein’ is out. Ranveer Singh and Siddhant Chaturvedi have made it largest with their Rappers skills. Ranveer Singh doesn’t need to prove himself anymore, the way he has done this rap is commendable. ‘Mere Gully Mein’ has captured like its real one and beauty is made by watching it. Mumbai Slum area is shown as beauty and talented place of Akkha Mumbai. Gully Boy Movie Review: Its Electrifying and of course a must watch! This rap is originally written and done by Naezy & Divine. Here Ranveer Singh has joined them and played Divine’s part. Ranveer not only sang it as bang but also performed like a Rap King on slum streets. Camera work by Jay Oza is awesome, few of the shots are discovered here. Neither Alia Bhatt nor Kalki Koechlin is there in ‘Mere Gully Mein’ but only Ranveer and Siddhant has set it on fire. ‘Apna Time Aayega’ Rap From Gully Boy takes you to the height of energy! I am now sure ‘Gully Boy‘ is the most awaited film for me as far as 2019 is concerned. Gully Boy is releasing on 14th Feb, stay tuned for other Bollywood updates. 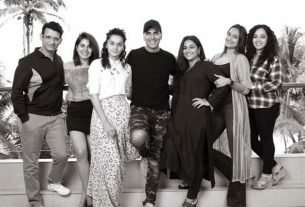 Akshay Kumar Mission Mangal release date is announced and its an extended weekend of four days! Jabariya Jodi First Look: Parineeti and Sidharth are coming back together in Ekta kapoor’s ‘Jabariya Jodi’. 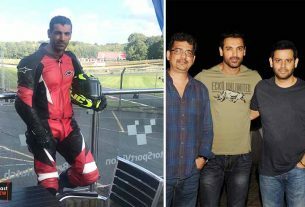 It’s Official: John Abraham to work again in a Bike theme film with the producer Ajay Kapoor, shooting starts in July 2019.